2) Cruise Europe aboard Windstar this spring/summer and receive $1000 in shipboard credit. Dates/itineraries vary. 3) Four Seasons Florence: Book a 3-night "Romance Package" and combined with our Preferred Partner rates you'll enjoy daily breakfast, a four-course dinner with wines, round-trip transfers, a $100 spa gift certificate plus a 75-minute couples' massage and a 222Euro voucher to spend at the local La Perla boutique in Florence! 4) Bike, eat & drink your way through Bordeaux or Provence this spring with our friends at Duvine Adventures and enjoy a $200 per person savings. 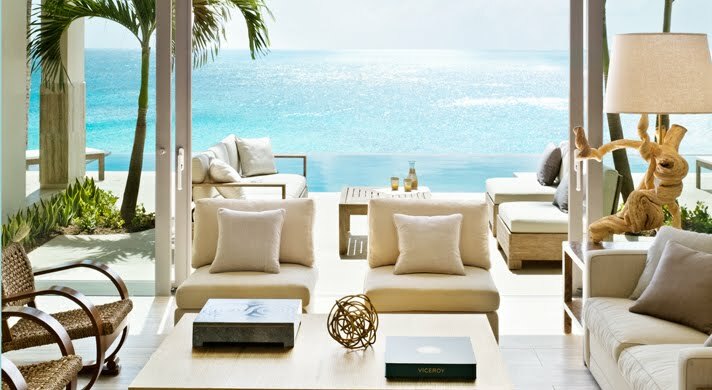 5) Viceroy Anguilla's Hot Nights Cool Rates offers one complimentary night for each night booked for stays June through November. We'll also get you breakfast included at this stunning beach resort (pictured above) as a special Virtuoso perk! For more details or to book any of this week's FAVE 5 luxury travel deals, email me stacy@elitetravelinternational.com or call us at 310.979.9036. I was verifying consistently this web blog and I’m impressed! Extremely details specifically the last part. Happily i accept this pregnancy congratulations , Therefore i always offer to women read all the instruction about the http://lisapregnancymiraclereview.com Thanks for this struggle So Keep up the wonderful work. Escorts Edge Agency provide you young, beautiful, stylish, educated and friendly +971563848260. www.smartbazar.pk is one of the best online shopping websites in pakistan. I like this blog, Elite travel gal, and I like the blog luxury travel tips and provide more information so thanks. Our Company Slcparamedical College also provides one of the best institutes, training college and good services provided. for me Bike eat & drink. Thanks for posting its really an informative blog and we are providing best Digital marketing services in Faridabad..